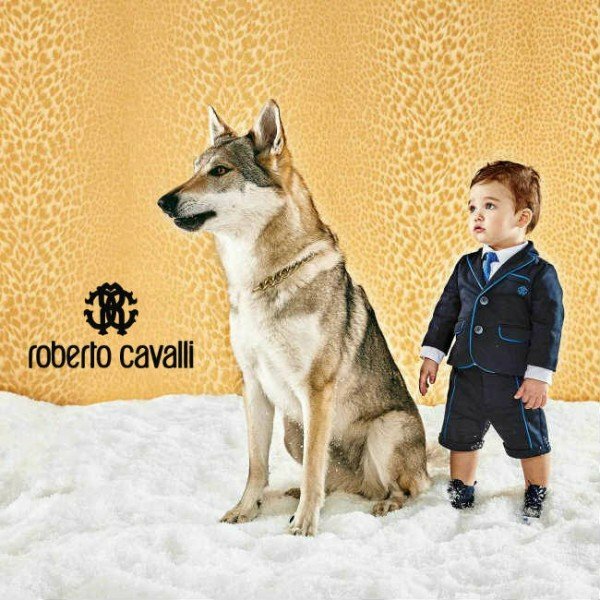 Your little guy is going to look super cute in this Roberto Cavalli Junior Boys Blue Suit. 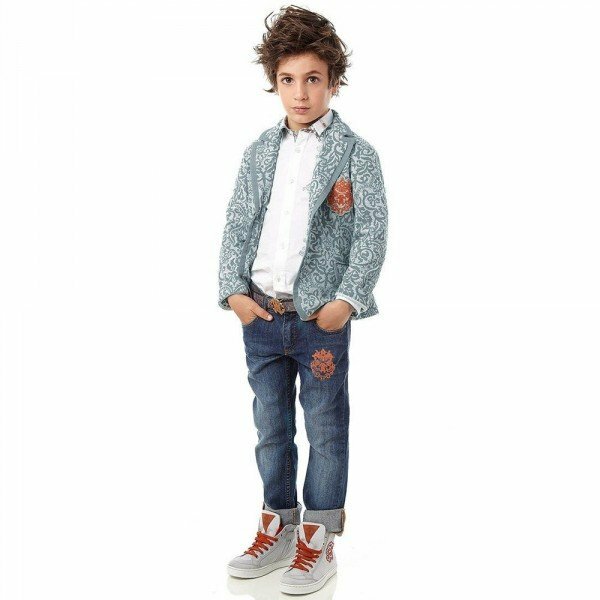 This baby boys cute one piece top is designed to look like a shirt and waistcoat. The shirt is made in pale blue soft cotton jersey, with button fastenings and long sleeves. The navy blue waistcoat is made in a mid-weight jersey with bright blue trims and logo, fastening in the front with buttons. Complete the look with these baby boys navy blue tracksuit trousers, made in a lovely soft and comfortable cotton jersey. Perfect look for a little ring bearer at a wedding ceremony. Inspired by the Roberto Cavalli Men's Runway Collection featured on the Runway at Milan Fashion Week. 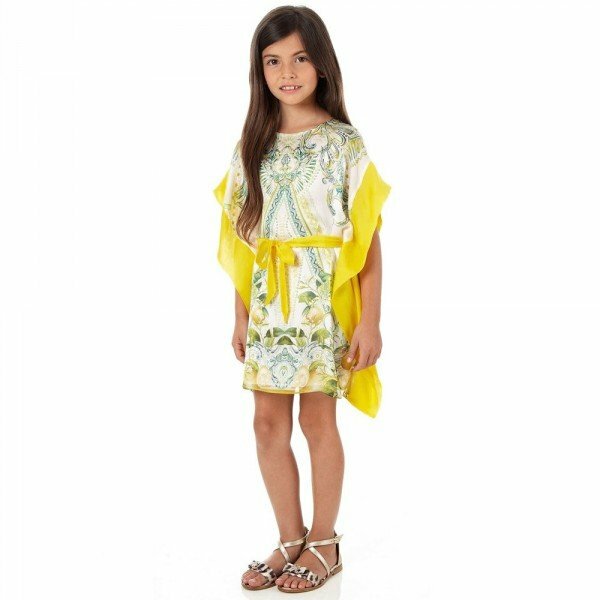 Designed by the famous Cavalli fashion house. Ships Worldwide.